Third-party article by MiKa, developer of WP OSM Plugin. Adding OpenStreetMap maps to a WordPress blog can be realized just be taking an image of the current map and add it like a photo in your site. That sounds weird but is sometimes a good solution since you do not need to install any WordPress plugin and the loading time of your site will not be influenced in a bad way. Anyway, if you want a slippy map that is always up to date with zoom and navigation, you have to install a plugin since it is not covered by standard WordPress. 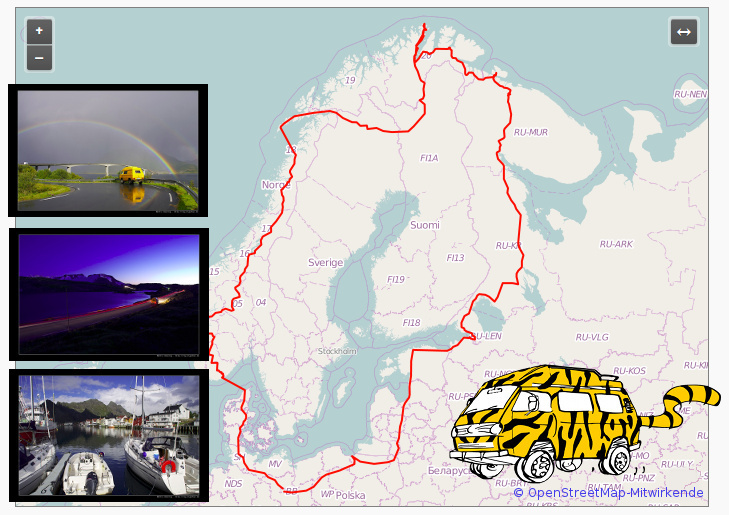 Tigerbus.de by Martin uses WP OSM Plugin to display GPX tracks in his Bulli-travelogue. The map shows the track and provides an button for a fullscreen map. 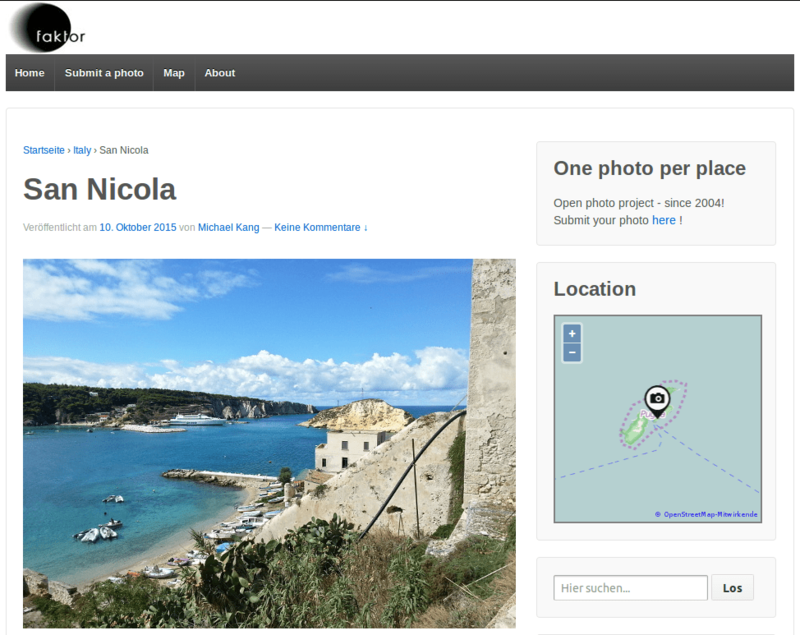 Fotomobil.at uses WP OSM Plugin widget to show the location of the post. The widget shows automatically the location of the post. Sabine leads the blog with 529 geotagged posts / stories about bridges in Hamburg. Each post automatically gets an icon with link to the post in the overview map. WP OSM Plugin continues this idea by providing an open source plugin with a free license and without any pro version nor a business plan. WP OSM Plugin is a free plugin for a free map! Have you ever thought about taking a picture that can be shown only in WordPress – or even only in one plugin of WordPress? The latest version of WP OSM Plugin is based on OpenLayers 3 with focus on mobile devices and adding personal data in a standardized way. Have you ever thought about taking a picture that can be shown only in WordPress – or even only in one plugin of WordPress? Then, why accepting it for your map? You might want to use your maps on other pages made with Joomla, or even in an old style photo album. Therefore XML files like GPX or KML are a great way to add personal information like routes / tracks or just markers to your map. You can freely change the mapping plugin or even the CMS without loosing your geo data. Clicking on the [↔] button in the map will give you fullscreen map. This shortcode does not need to be written manually, but there is a WP OSM Plugin shortcode generator when you write your article in the backend of your WP site. Files produced with a GPS logger or a mobile phone might get quite huge, make sure the size does not slow down your page, but reduce the size of your file by using the great tool GPXBabel. Find an how to here. And finally make sure the icons in your file are also referenced relative.